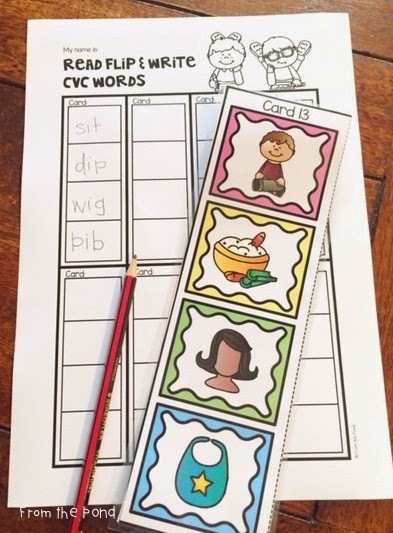 cvc Words Worksheets - Bubblegum Style! I finally finished a file I have been working on since February! 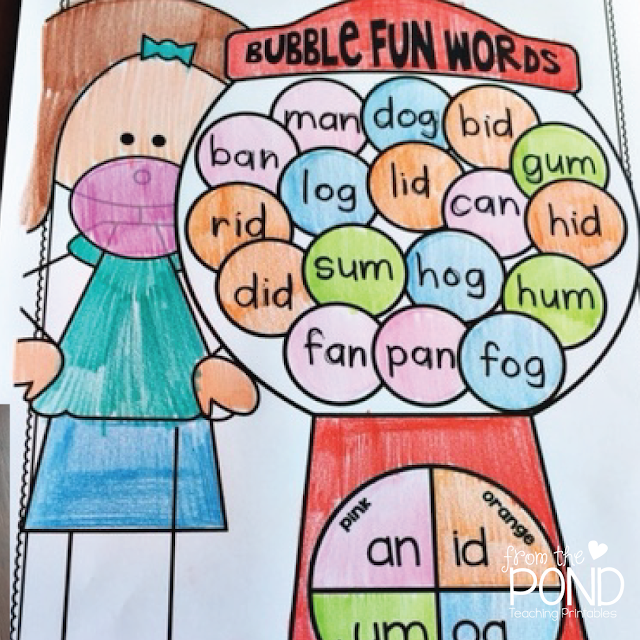 This 'Bubble Fun Words' packet will help your students read and write cvc words and become familiar with word families. 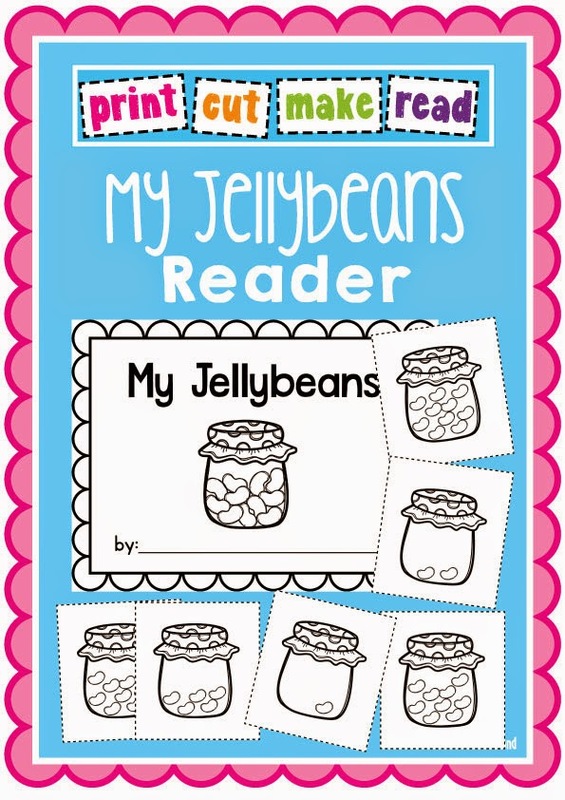 There are 3 different worksheet styles in the gumball-themed packet of 52 worksheets! Would you like to try one? 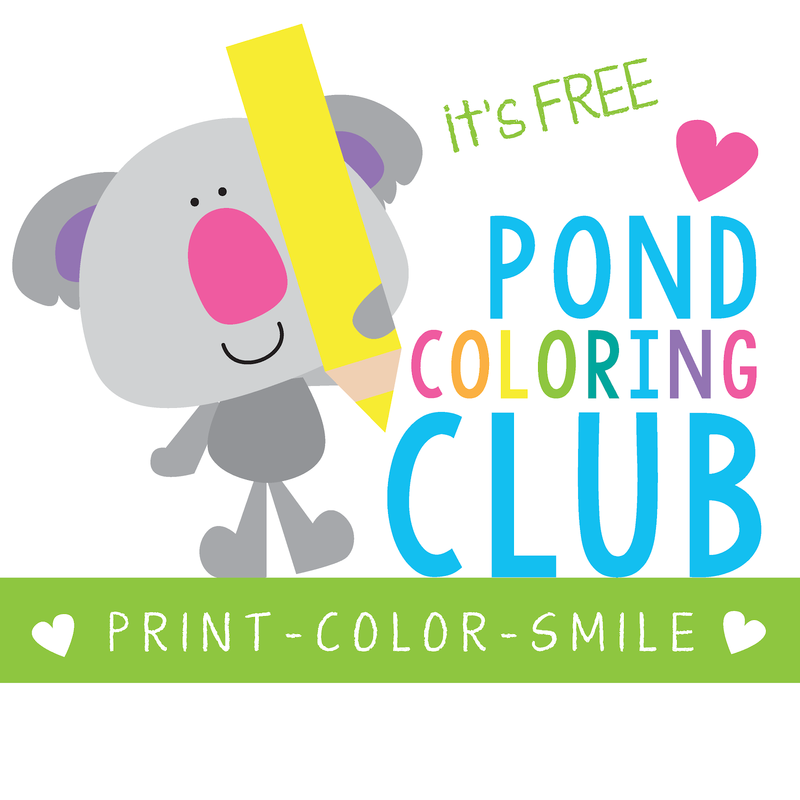 Simply click on the image below and download one from Google Drive! 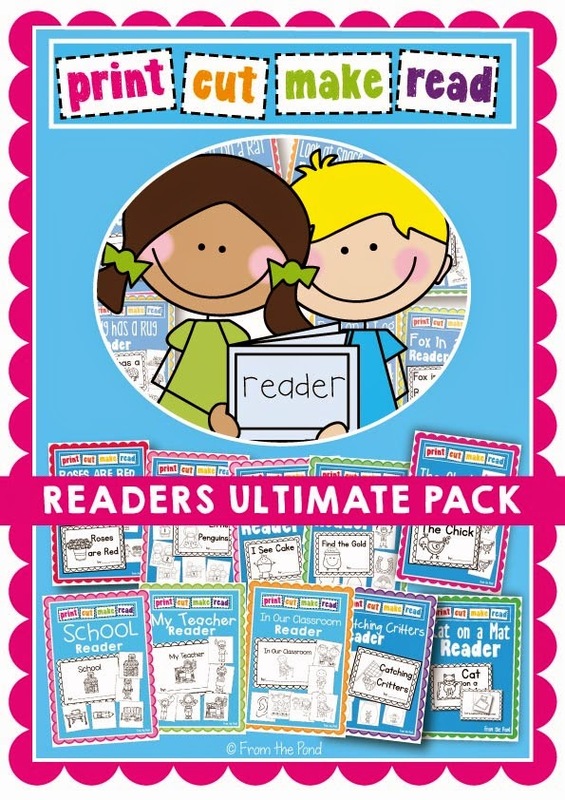 I also wanted to let you know that I have added a new reader to my 'Print Cut Make Read Ultimate Pack'. It is called 'My Jellybeans'. 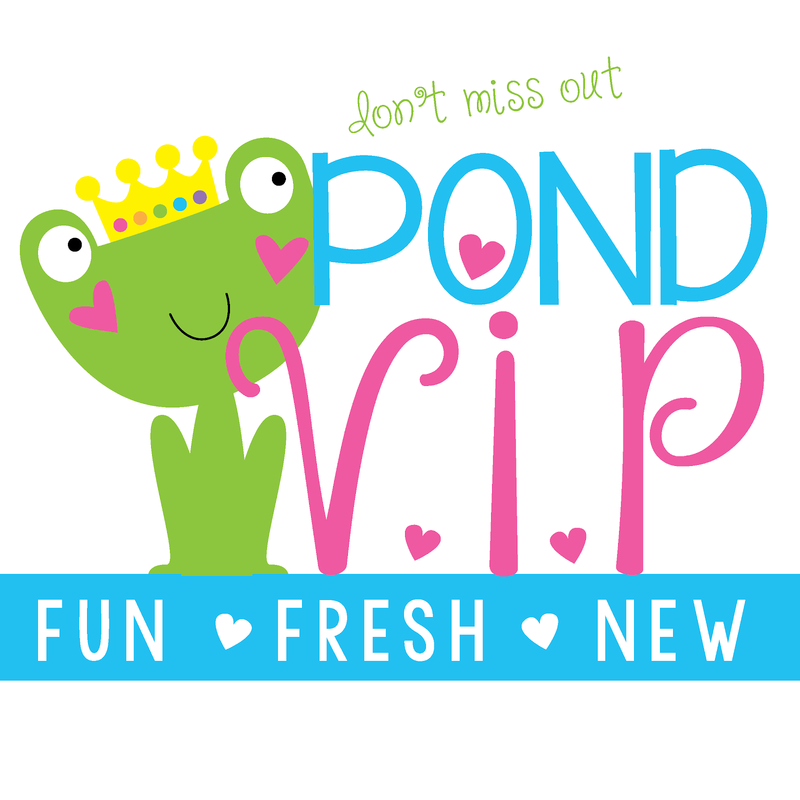 Because you are such wonderful blog readers, you can try it for free for today only. Just click on any of the images below to snag it from Google Drive! 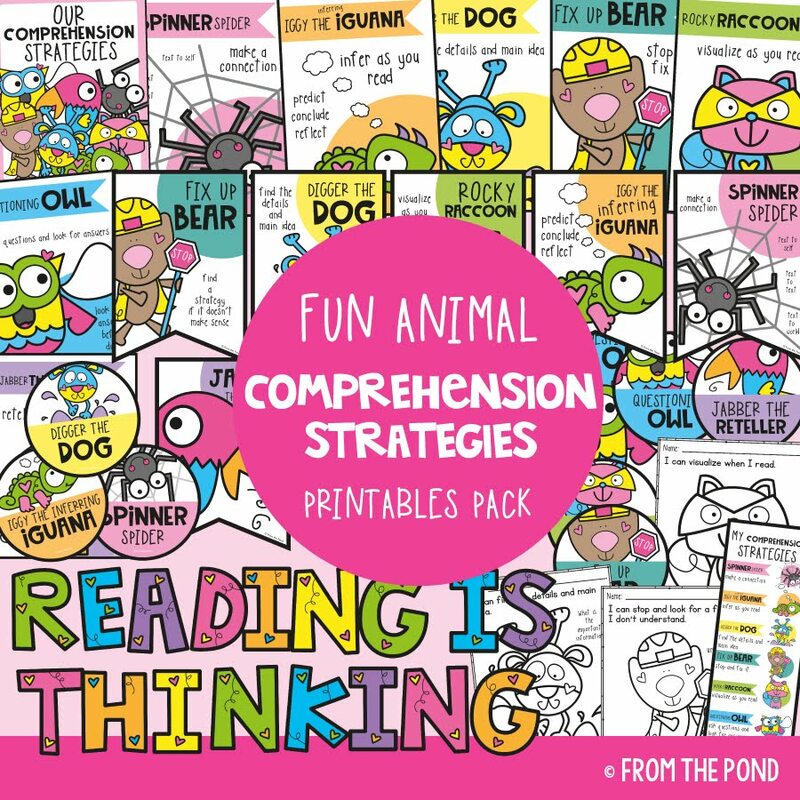 Find the Ultimate Pack in my TpT store - it includes this title and a growing collection of other emergent readers. Thank you so much for stopping by today and for your continued support! 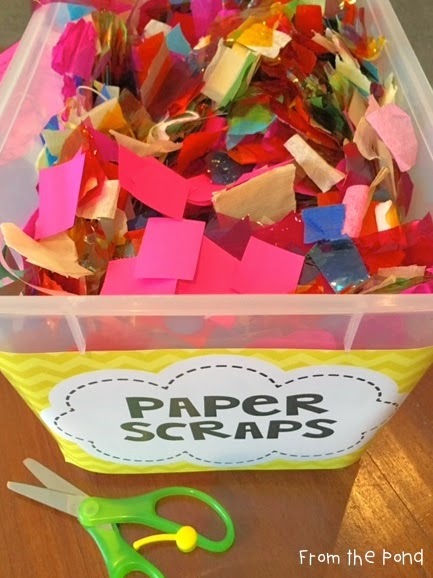 I have a simple but bright idea for youe - keep your scraps of coloured paper. Sounds easy enough doesn't it?! The trick is, to turn it into a regular classroom procedure, so it doesn't become a big thing to worry about or another teacher-job! Or a mess to clean up. 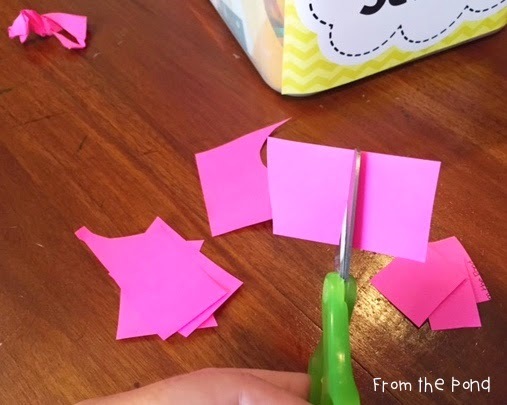 Take some time to explain and teach your sweeties this procedure and ask them to do this at the end of every art/craft session. Firstly, create a place for your scraps. A plastic tub works well. Label it so that students can recognise it and understand that it is a part of their classroom and routines. 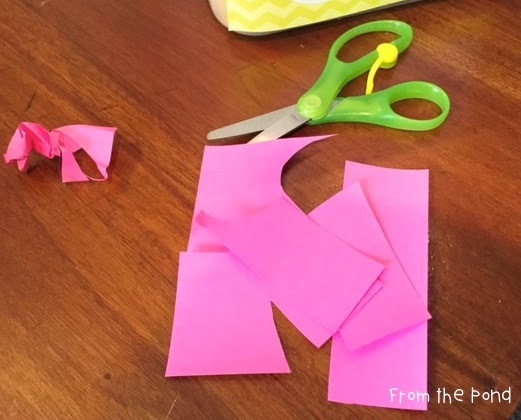 When students have scraps from paper craft or art projects, teach them to recognize the pieces that are worth saving. Anything that is too fine or narrow can be scrunched up and put in the recycle-bin. Show them the two piles - 'good pile' and rubbish (trash). 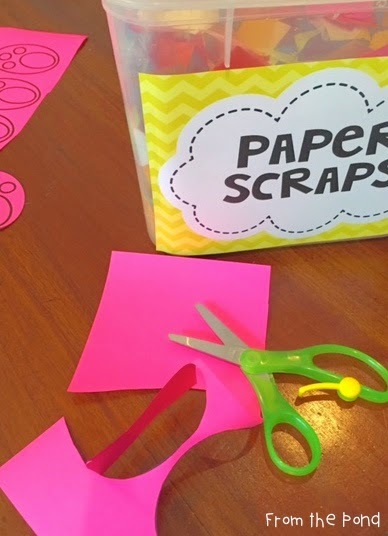 Now, show them how to 'chip' their usable scraps. Paper chips are small square or rectangle pieces. 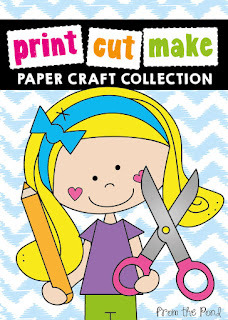 The technique of cutting them will help with fine motor skills and using them up will help make gorgeous artworks! 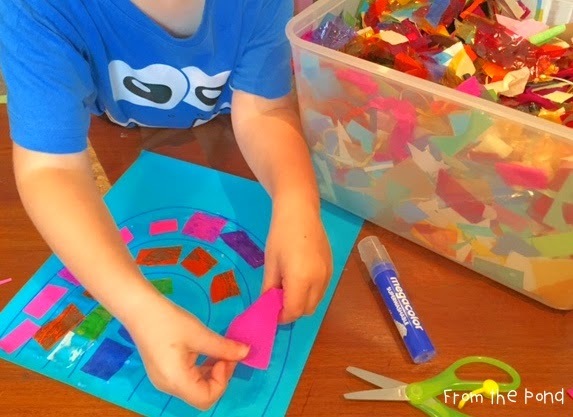 You can use paper chips as they are and attach them to an artwork as a flat piece - or students can roll, twist, fold or cut them. Once you have chipped the scraps, add them to your tub. Now, when you have a spare creative minute or two, simply get the tub out and let your students loose with it! 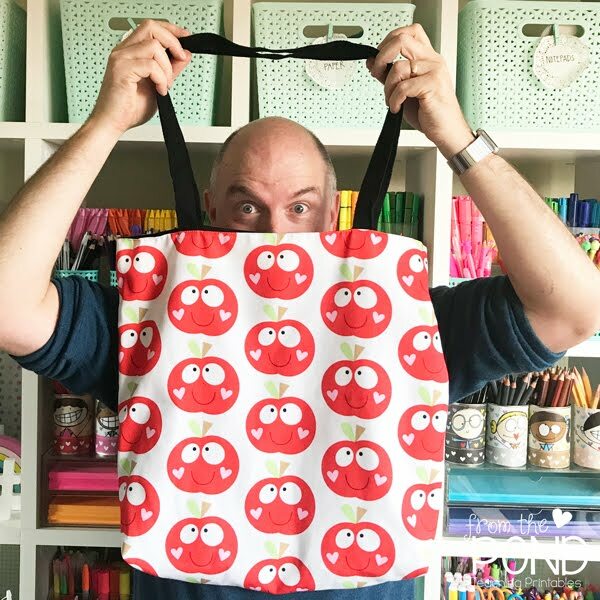 It also comes in handy when you are working on an artwork with your students and each student may need just a small piece of coloured paper to add detail or features to their work. Digging around in the tub and securing a particular piece of paper will also assist with fine motor skills. 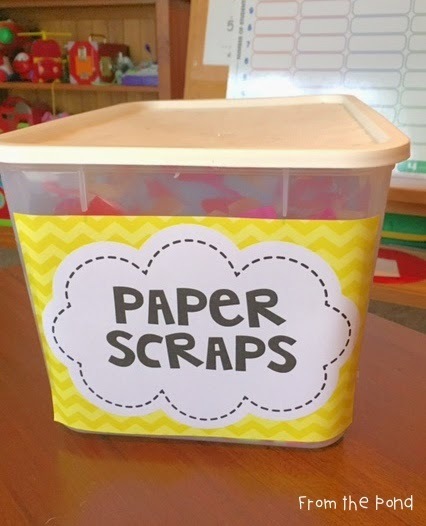 Having chips available will save wasting additional large sheets of new paper and encourage students to understand the value of recycling and reusing their scraps. 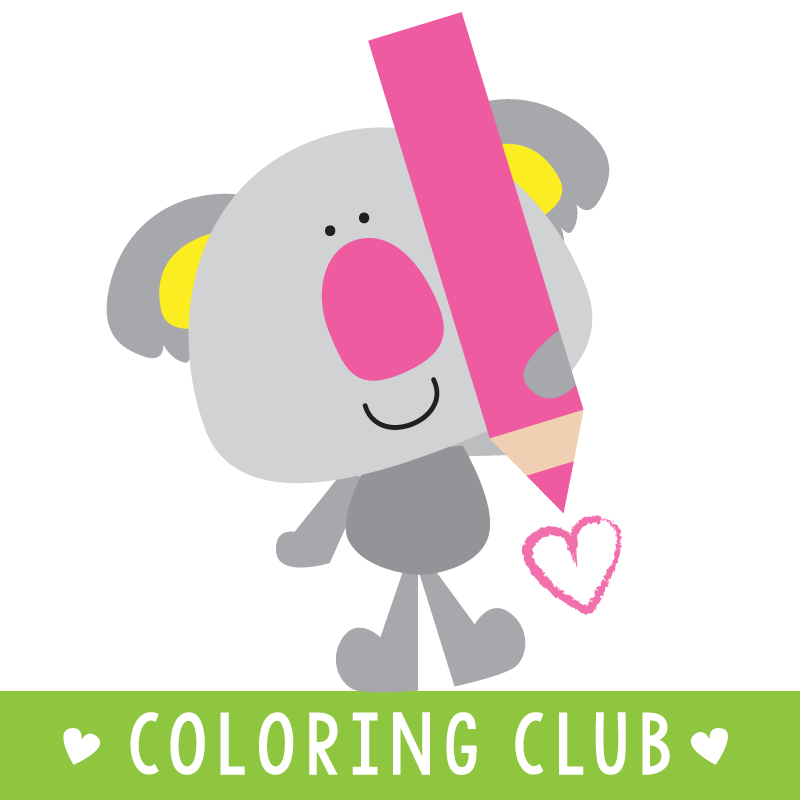 If you like classroom art ideas, please consider following my Kids Art Ideas board on Pinterest. Have a great day, and thank you so much for stopping by! It's Friday - and that means it is time for some weekly randomness. I had to take this snap of my two favourite men early in the week. This is at the lake near where I live. I spent many days on this lake as a child. 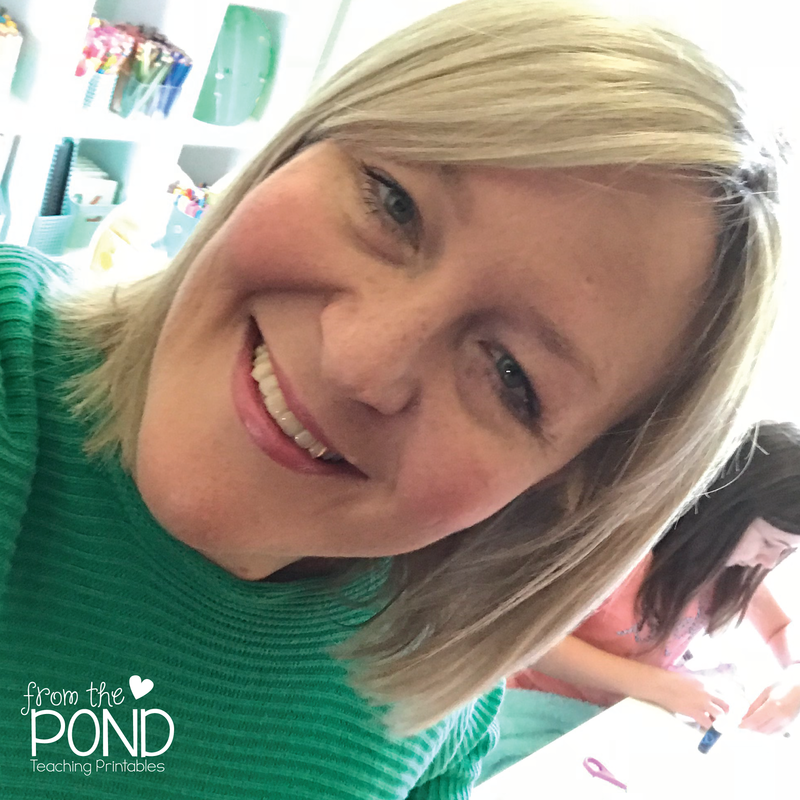 My dad would always say 'it's as calm as a pond today Mel' - and so, I always affectionately refer to it as 'the pond'. Here is my sweetie having fun with the train set and blocks. I love making beautiful memories with him through the week. I could look at this all day. My teacher friends will understand. That. Is. All. 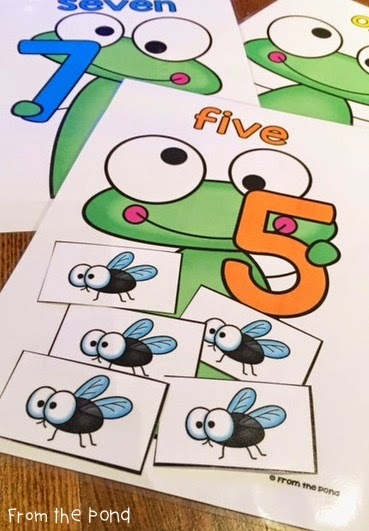 What would a 5 for Friday be without a bit of lamination?! I prepped all the games from my new addition games packet today. Here is a peek. Today (March 20) is our national day of action against bullying and violence. It provides for all our schools to say - Bullying. No way! Many of our schools also took the opportunity to celebrate 'Harmony Day' - a day to celebrate our nation's rich cultural diversity. Our students wear orange clothing for the day and participate in activities to explore, appreciate and understand other cultures. I got an email yesterday, alerting me to a special campaign to raise awareness of bullying and violence. Bullying affects one quarter of our school students every day! I really wanted to help because bullying is something that as a teacher and parent, I deal with quite a lot. Buderim Ginger has launched the #GoGinger Challenge and are asking people to take a stand against bullying by snapping a selfie with a 'Tinge of Ginge' (anything from a ginger cat to a ginger wig) and posting it to Instagram, Twitter or Facebook (along with the hashtag #GoGinger and #BullyZero). Buderim Ginger is going to donate to the anti-bullying charity Bully Zero Australia Foundation based on how many people participate in the challenge. This organisation works to provide support to victims of bullying and their families. You have until April 20th 2015 to show some support! Thank you so much for stopping by today and be sure to head over to my sweet friend Kacey's blog to catch up on the other posts! 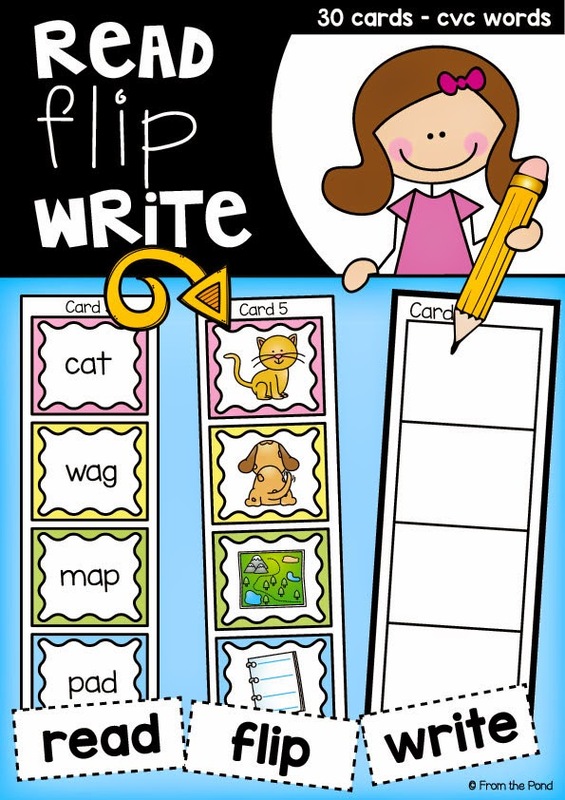 These new 'Flip and Write' cards are easy to prep and loads of fun for students. 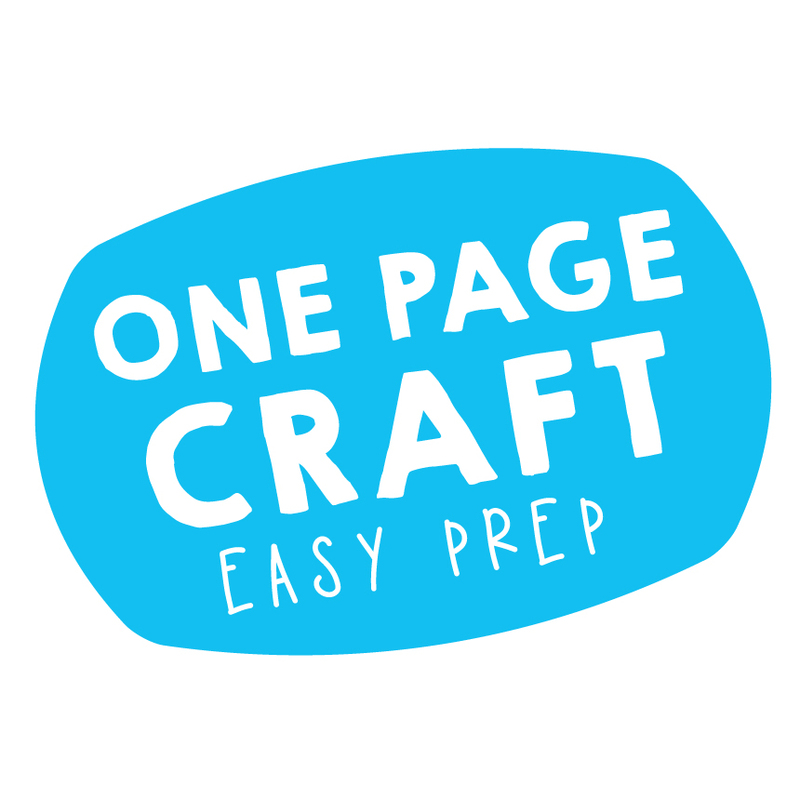 Simply print the pages, trim the edges and fold each card in half. 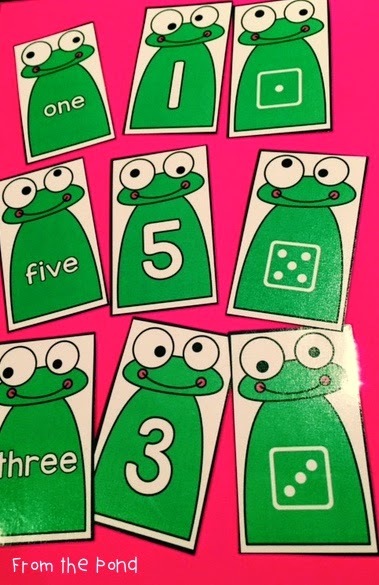 There are 30 cards, each with 4 cvc words. 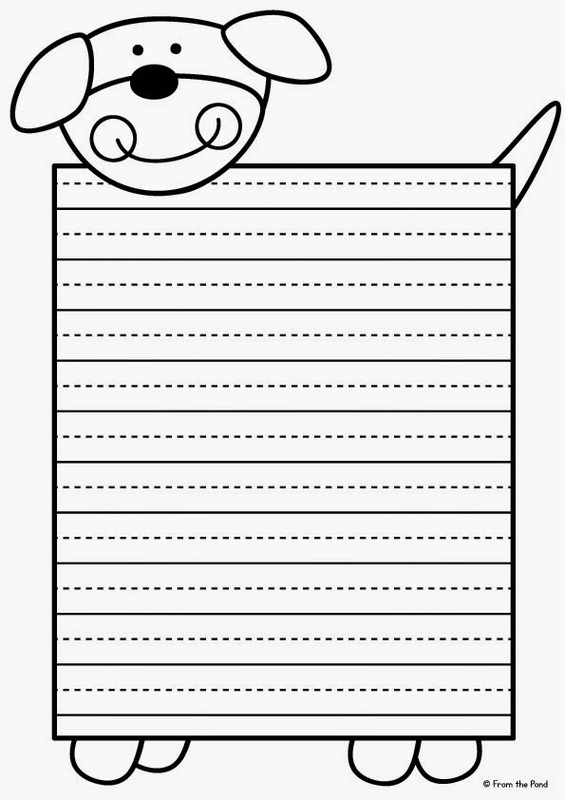 Once folded, you can leave as is, or laminate them. 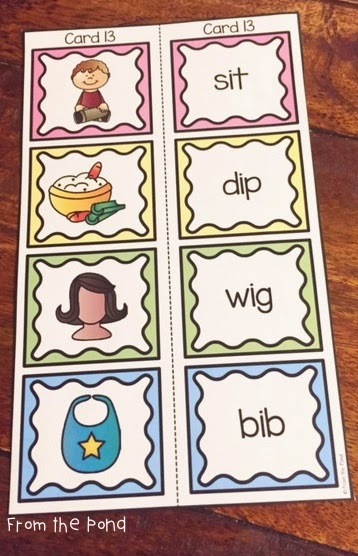 Students take a card from the pile and look at the 'word' side of the card. They must try to remember the spellings for each word - perhaps ask them to sound-out each word several times. 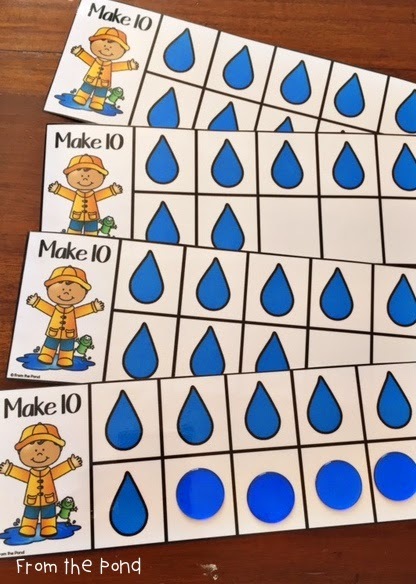 They flip the card to reveal the pictures and use these as clues to help them write the words. Encourage them to sound-out once again. Students then take a new card and start the process once again. 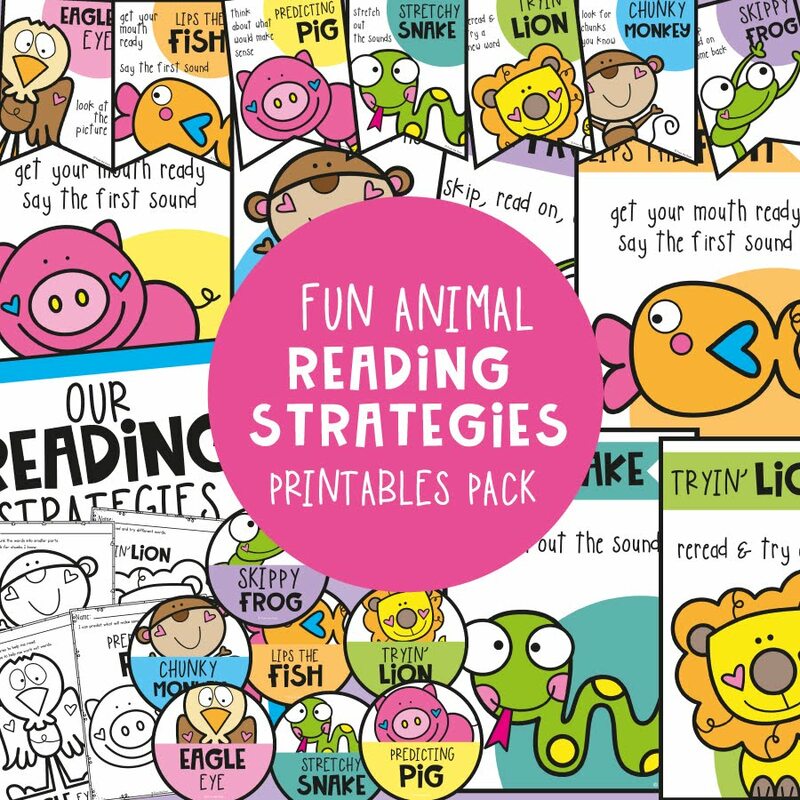 This new file is in my TpT store now and is on sale for a short time only. What a week!? Was yours a little crazy too? This is just a quick post to let you know that I have added the final file to my first Alphabet Bundle (Let's Have Fun with the Alphabet). If you have already purchased this special-price bundle, you can download the complete zip file now. 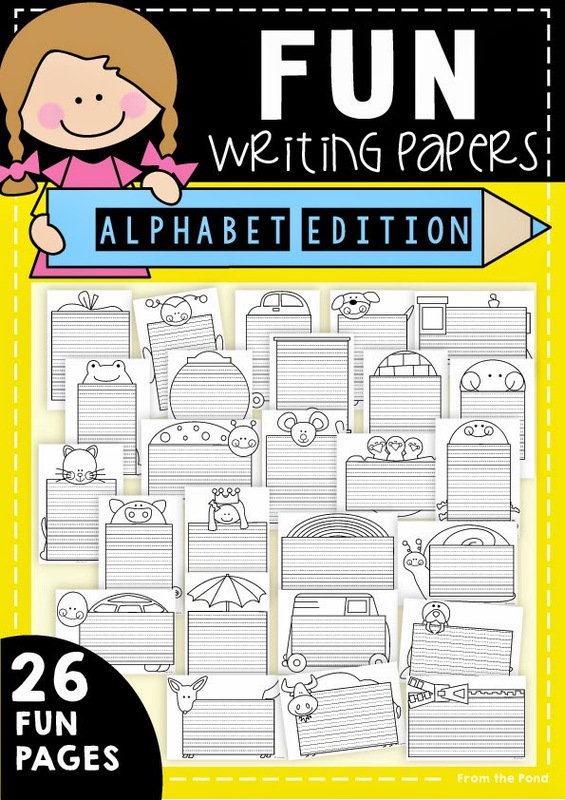 This is a 'writing papers' packet and will provide you with 26 different writing paper worksheets to motivate and encourage your students to write for fun! 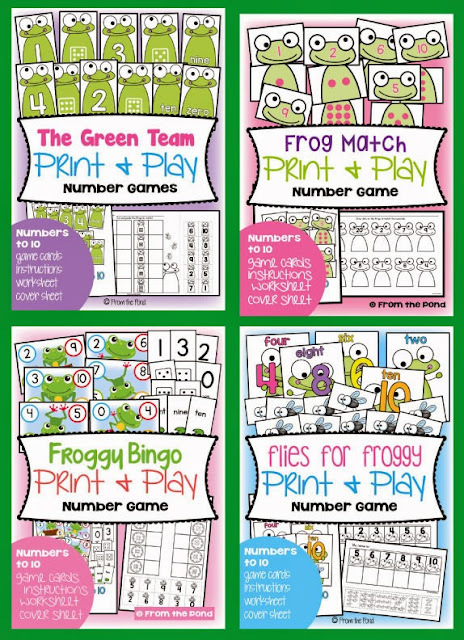 You can use them as part of your phonics program - or for a range of other themes and topics. Have a try and see how you like it! Click on the image below to download a sample from Google Drive. Thank you so much for stopping by today and for supporting teacher authors at TpT! I recently revised my "Green Team" resource. 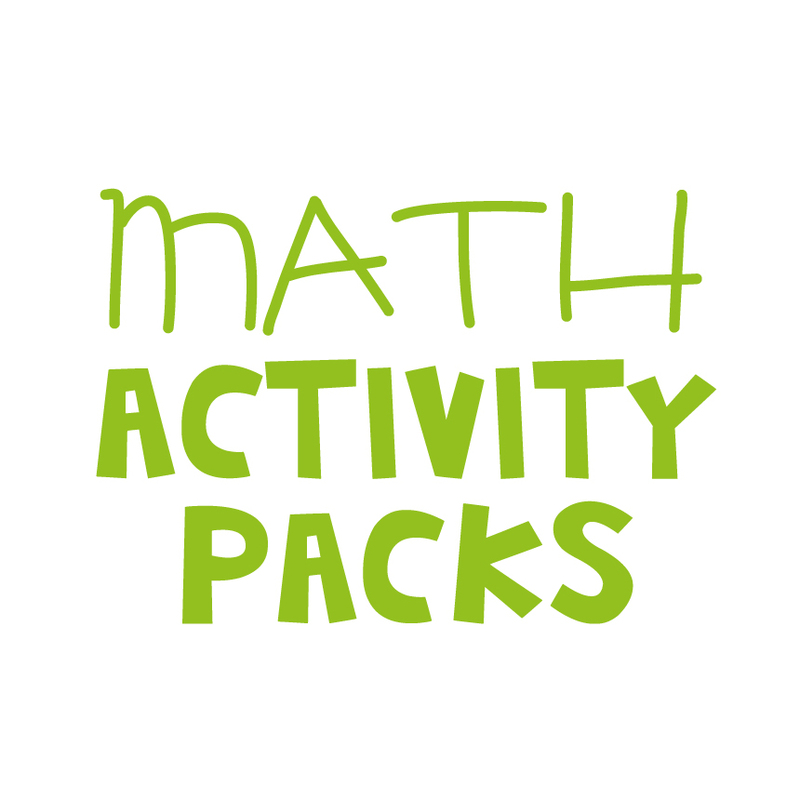 It now includes four printable game packets (originally one)! 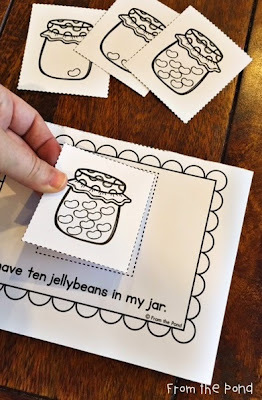 These activities are perfect for small group learning. 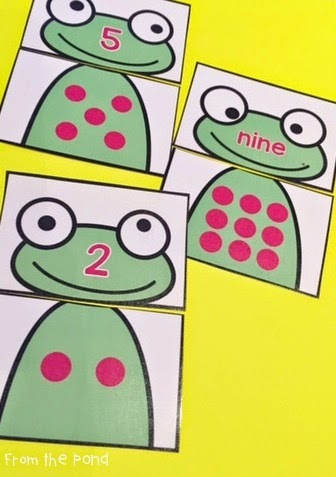 They will ensure your students practise numeral identification to ten, counting, reading number words and subitizing. 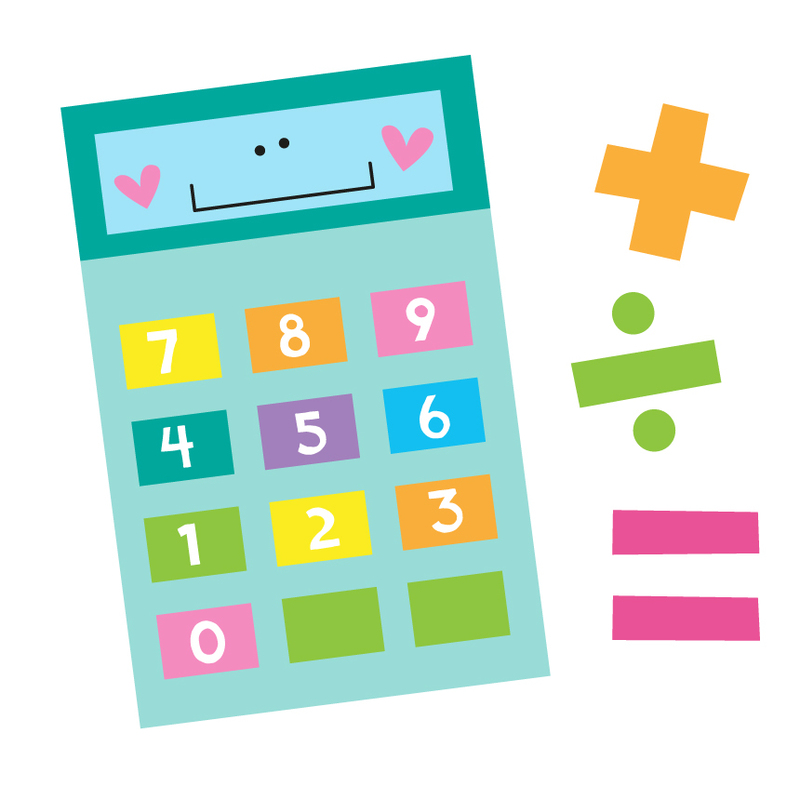 If you have already secured this packet, you can download the addition for FREE! 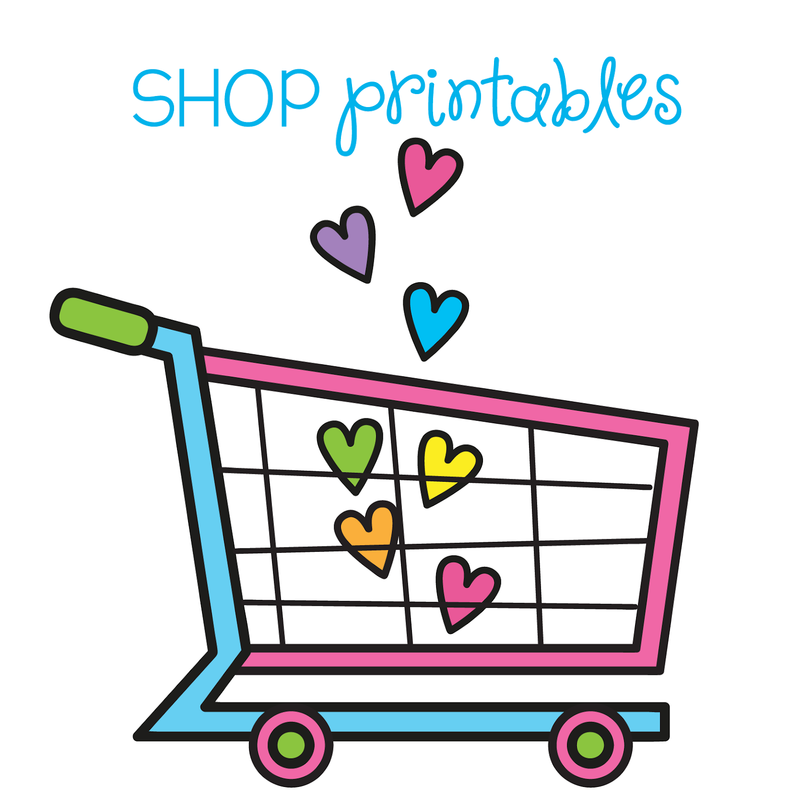 Just head over to TpT and find them in your 'My Purchases' tab in your dashboard. 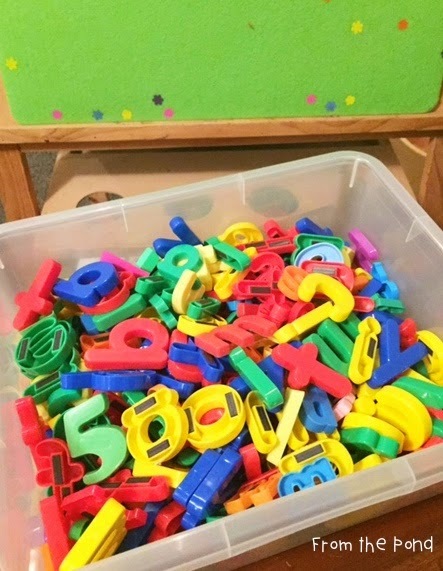 Magnetic letters were always one of the most used items in my classroom. They are used a lot here at home too! When I had a classroom full time, I had a corner of the classroom set up with a nice big pocket chart with 26 pouches. I had it mounted on the wall adjacent to a whiteboard at student height. 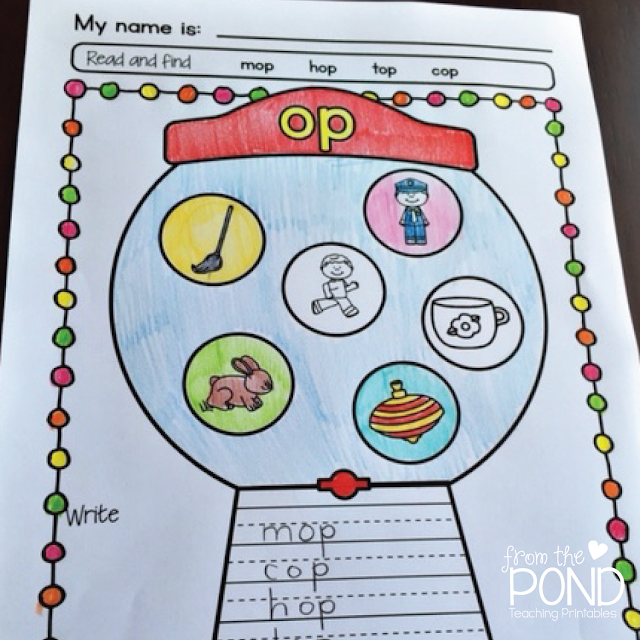 A daily small group activity was to build words with the letters. Having the letters so accessible and organised made such a positive impact on our class program. I also utilise these portable magnetic letter organisers. I found them in the hardware section of a cheap store and they are fantastic. 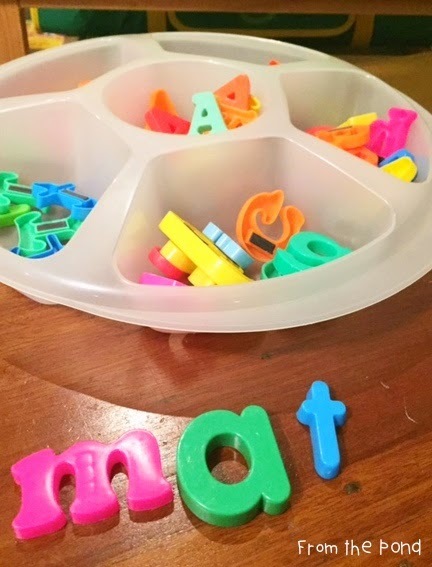 When I first started teaching, I was very concerned with finding 'matching' magnetic letters that were consistent in size and shape. Let me tell you, do not worry about that at all! With experience I have learnt that the greater the variety, the better! A variety of letter styles, sizes and shapes will assist your students in learning to identify letters in multiple font styles. 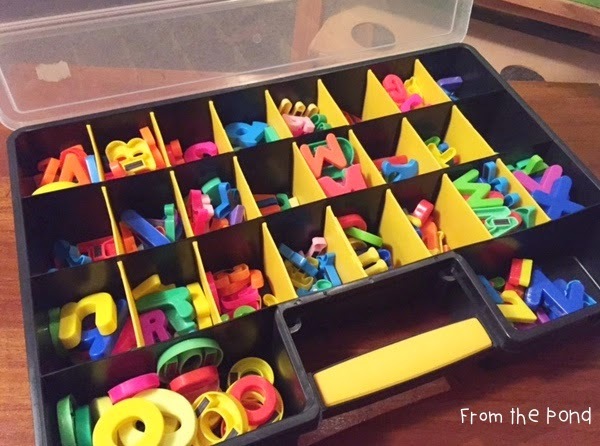 I do like to try to provide my students with lower case letters for spelling activities, so sort my letters into two boxes - one for upper case and one for lower case. 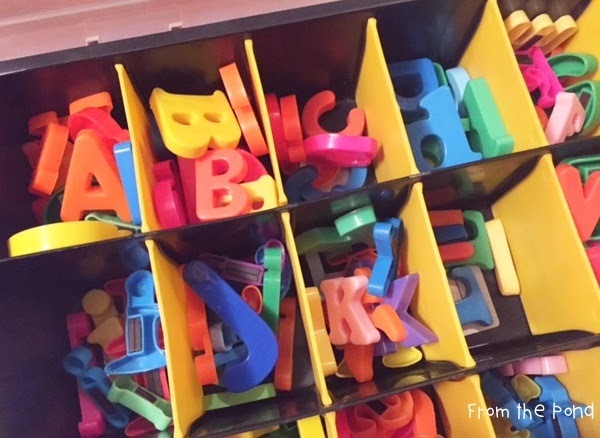 Asking your students to pack away the letters at the end of each activity is a valuable learning experience. 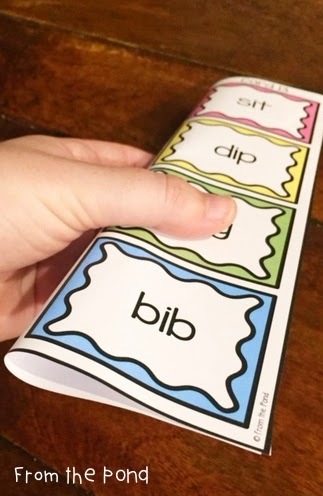 It will help them with practising letter identification and alphabetical order. 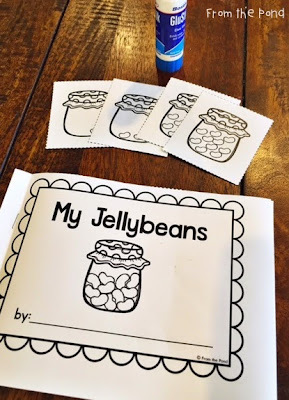 A simple activity for small group time, is to provide your students with just a small selection of letters on a sorting tray. Challenge them to see how many words they can make using just those letters provided. If you do not have time to get your letters sorted, ask your students to do it for you! 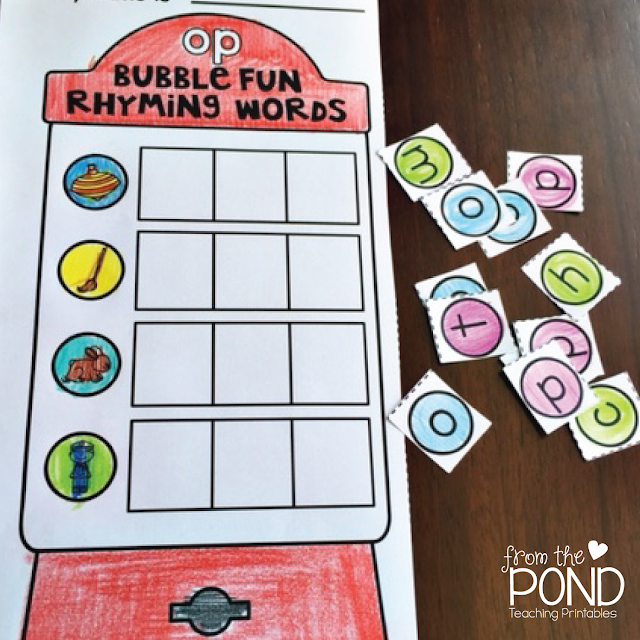 Another easy-to-prep activity is simply having a big box of magnetic letters and a pile of alphabet flash cards. Students in the small group take turns to select a card, identify the letter and then the whole group search for it. 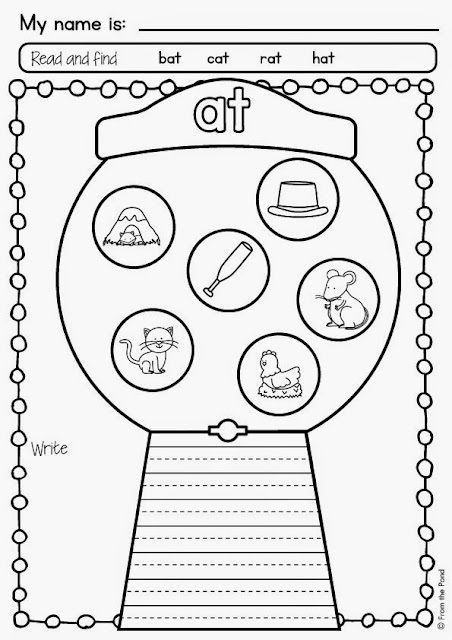 The first child to find the identified letter is the winner for the round, and may keep it until the end of play. The student with the most letters at the end of play may be declared the winner. 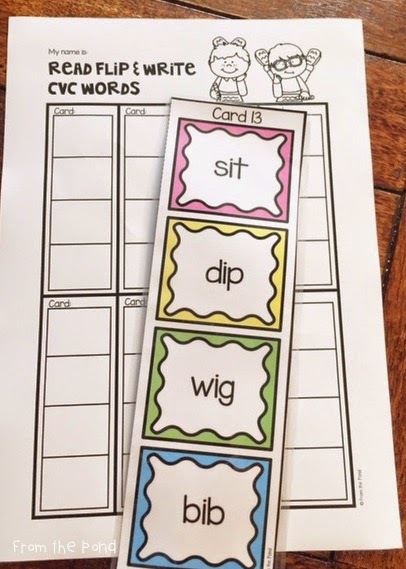 Challenge students to see if they can make a word from their letters at the end! 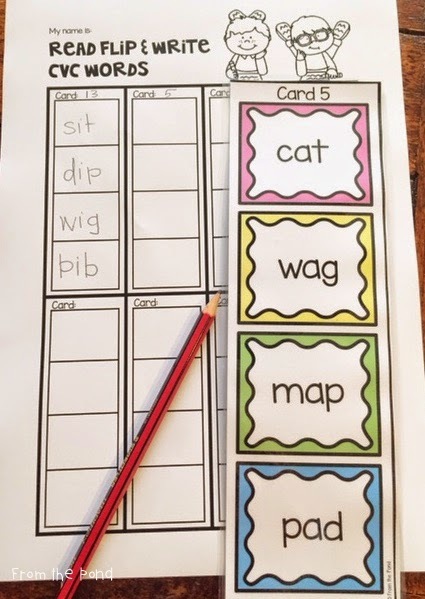 How do you use magnetic letters in your classroom? It is the first day of March and the first day of Autumn here in Australia. In my opinion, it is the best season of the year! 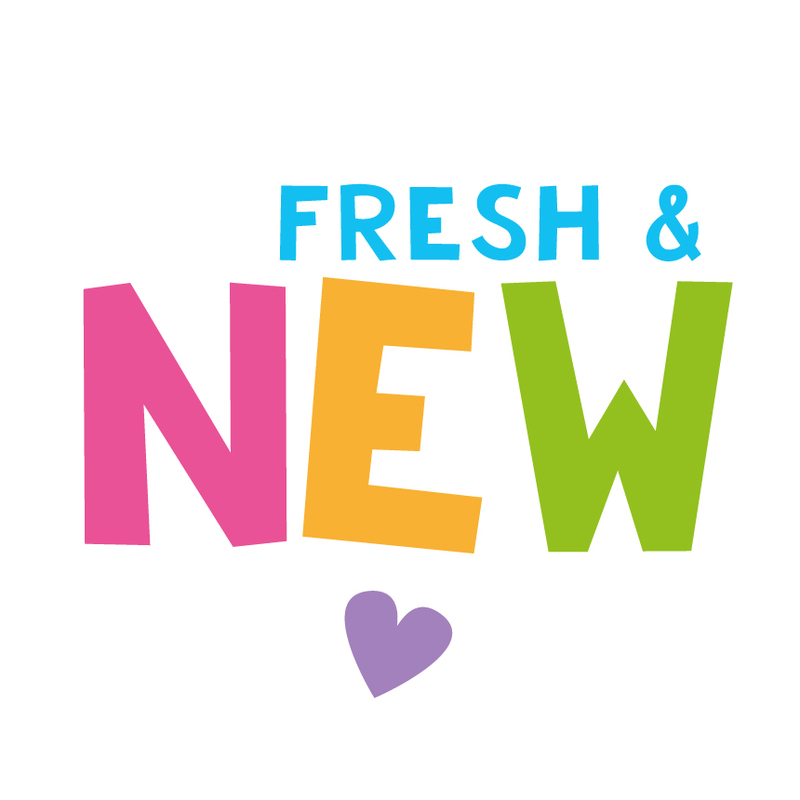 Take the opportunity to discuss some thoughts and ideas about the change of season with your students. Encourage them to keep observing the playground to see how the trees and other surroundings change over the coming weeks. A simple-to-prep art activity for this week is an Autumn tree. Use this time to discuss the traditional colours of the season and how using these will help to convey a message in their artwork. It also provides an opportunity for you to integrate an Aboriginal perspective into your lesson and discuss the use of natural and earth tones in their traditional art making. 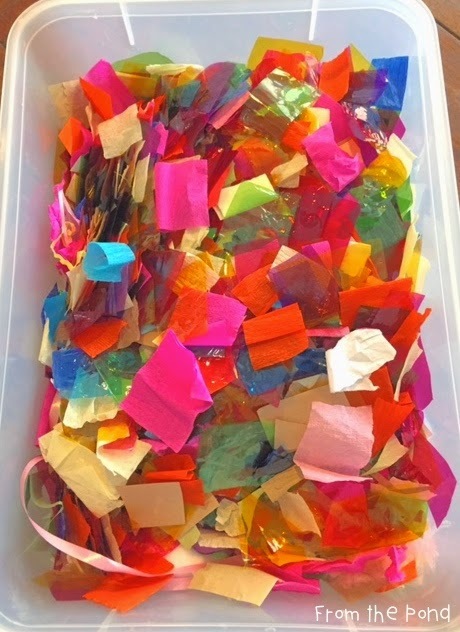 For this project, simply chip some tissue paper and provide your students with some PVA glue and a brush. Students can layer the chips and overlap them to create interest. Once they have done this, the artwork can be completed with a black tree trunk. This can be made by cutting three rectangles from black paper and arranging them to make a tree shape. 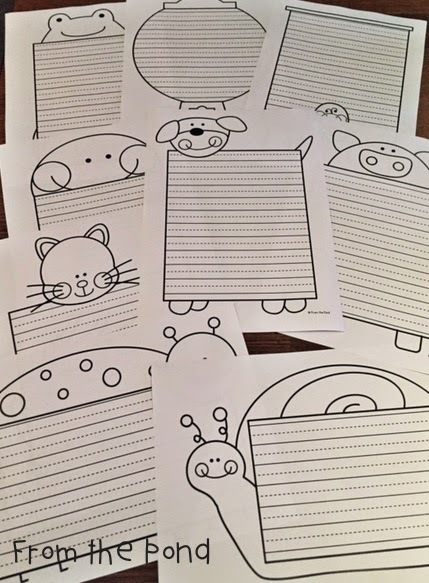 These will look so effective when you line them up as a class display. Perhaps even add a wash background. I love collecting and sharing art project ideas. Follow my Pinterest board to get some daily art inspiration!